If you’re looking for Local towing in South Nyack you’ve come to the right place. 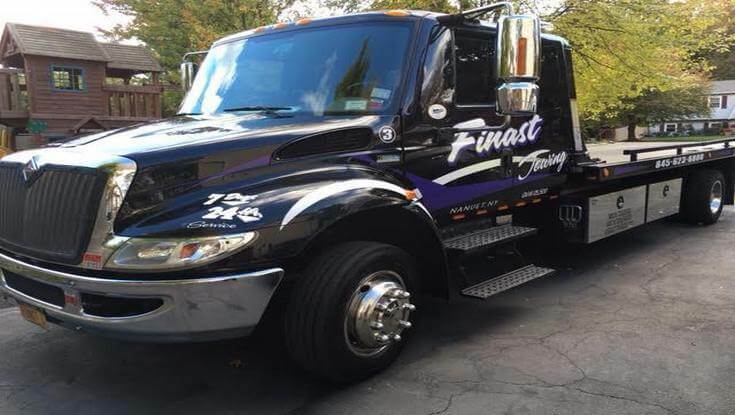 Finast Towing & Recovery of Nanuet, NY are expert towing service providers serving Rockland County for over 20 years. Owner operated, our towing company provides reliable 24-hour flatbed service. We guarantee prompt and professional roadside assistance. Whether you lock your keys in your car, run out of gas, have a flat tire or even need a jump-start, our fast and reliable service is always available when you need it, guaranteed. Our staff is on call 24 hours a day, 7 days a week. ALL OF OUR DRIVERS ARE WRECKMASTER CERTIFIED! We are fully licensed and insured. Our goal is to provide the very best service to our clients as quickly as possible while giving you the most affordable prices in the area.